Information credited to: Peacock, David and Suzanne Peacock. Old Oakville. Willowdale, Ont. : White/Hounslow Productions, 1979. Print. 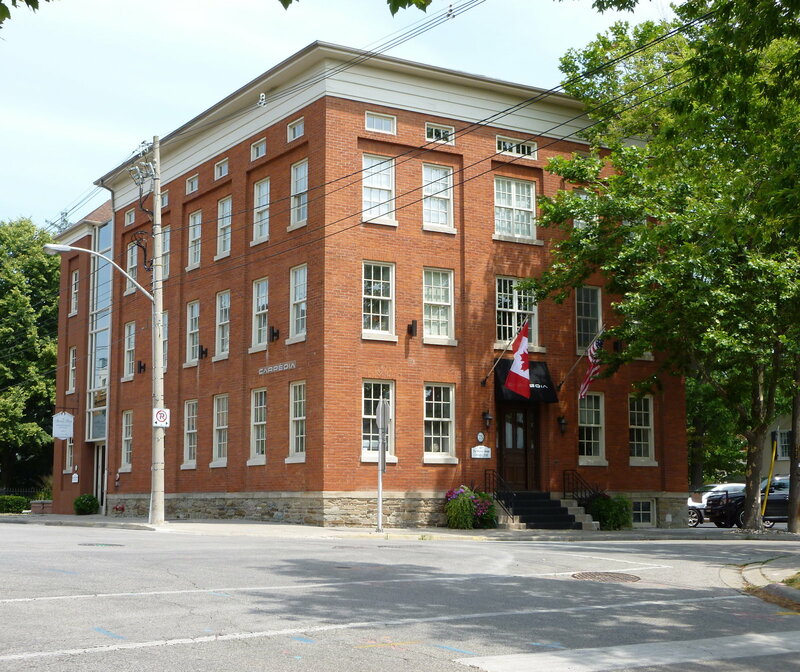 and to: Town of Oakville Designated Buildings: Part IV of the Ontario Heritage Act. Oakville, Ont. : Town of Oakville, 2000. Print. The Murray House (c. 1857) located at 75 Navy Street was built by John Williams. When the harbour was no longer a port of entry and the railroad increased in popularity, travel accommodations were often scarce and difficult to find. In order to fulfill the needs of travelers, John Williams made the savvy business decision to open up a 21 bedroom hotel, known at the time as the Canadian Hotel. After changing hands several times, in 1896, Murray Williams bought the hotel and renamed it The Murray House. The hotel remained very successful for the next forty years. 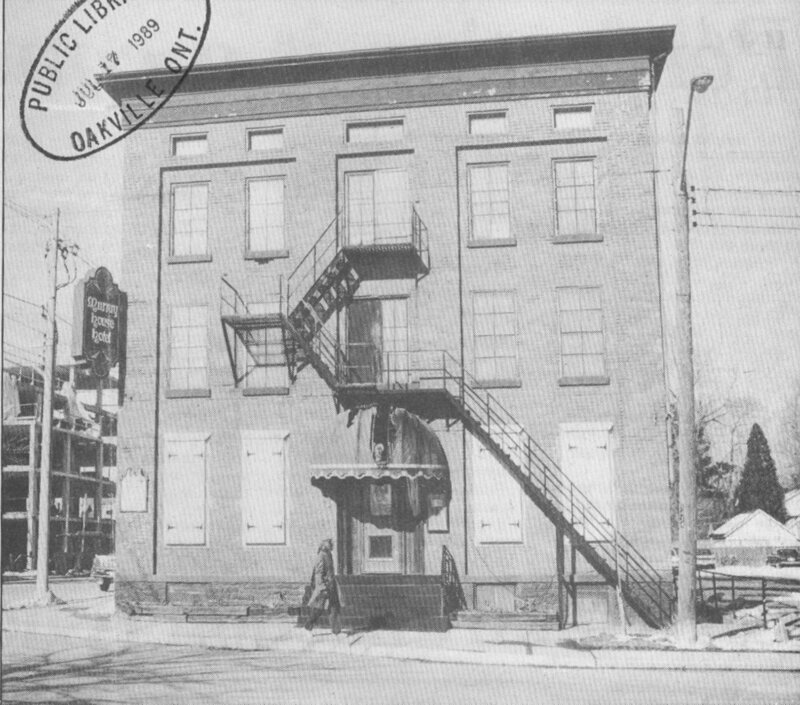 The red brick building remains in this location, and is the largest commercial building in Oakville from the nineteenth century. The building is now the offices of Carpedia International Limited.